The U.S. 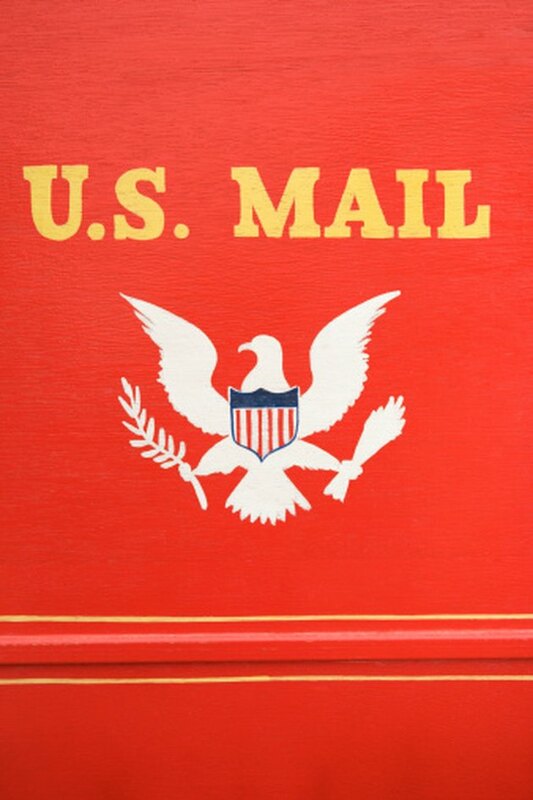 Postal Service classifies paint as flammable and combustible. That means that in order to ship paint you must use the proper packaging and follow the regulations set forth by the Postal Service. Once the packaging is correctly done you can ship domestically and only by using ground transportation. There is a limit of one container of paint per shipping package. Double-check your package to make sure it meets the regulations. Sending paint in the mail is simple. Make sure that the lid on the metal paint can is secured tightly. Wrap the paint can in bubble paper and secure with packing tape. Insert the wrapped paint can in the plastic box and make sure that it is screwed closed. This secondary packaging must be sealed tightly in order to prevent possible leaks during shipping. Place the sealed plastic box inside of the cardboard box and fill it with packing peanuts. Use enough peanuts to keep the plastic box from moving around during shipping. Use the marker to write "Surface Only" or "Surface Mail Only" on the side of the box. Below that, use the marker to write "Consumer Commodity ORM—D." The U.S. Dept. of Transportation uses this acronym to identify small amounts of a hazardous substance. A family therapist and graduate of the University of Louisville, Tyran DeWalt has written relationship and holistic self-care practice advice for close to a decade. DeWalt relishes in being able to combine his zeal for writing and his commitment to assisting people manage everyday life challenges.